The boys are doing well. Buck weighed 16 pounds and Cash weighed 14 when we picked them up in late March and they each now weigh just a shade under 30 pounds. 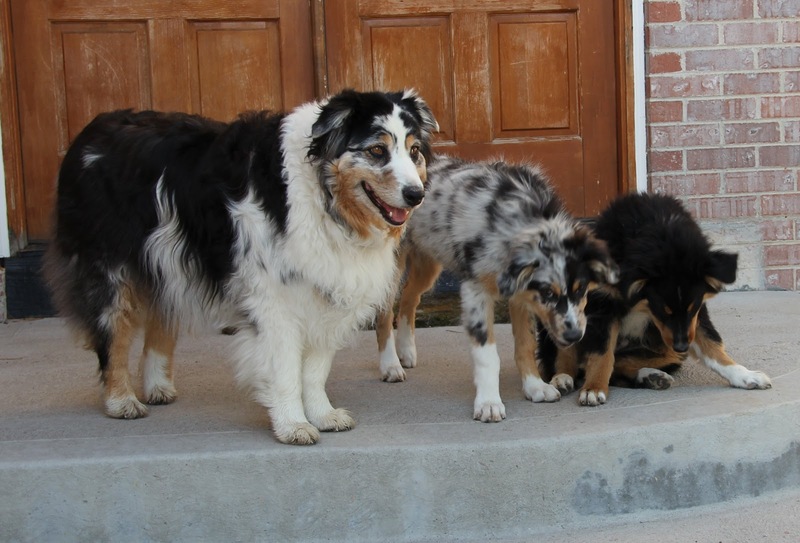 They are making progress on the house training front, but we wish it was a little faster. 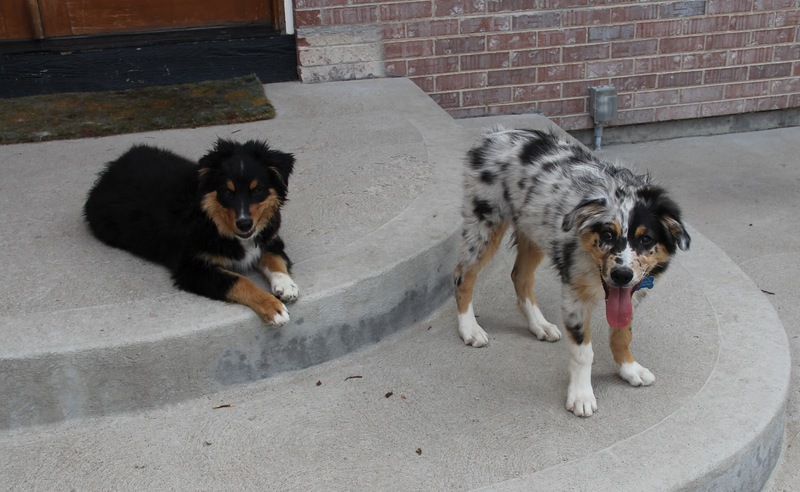 They are both smart boys and are also making good progress on commands. Cash is especially bright and seems to understand what “inside”, “outside”, “front door”, and “garage” mean. They both certainly understand what “eat” means. 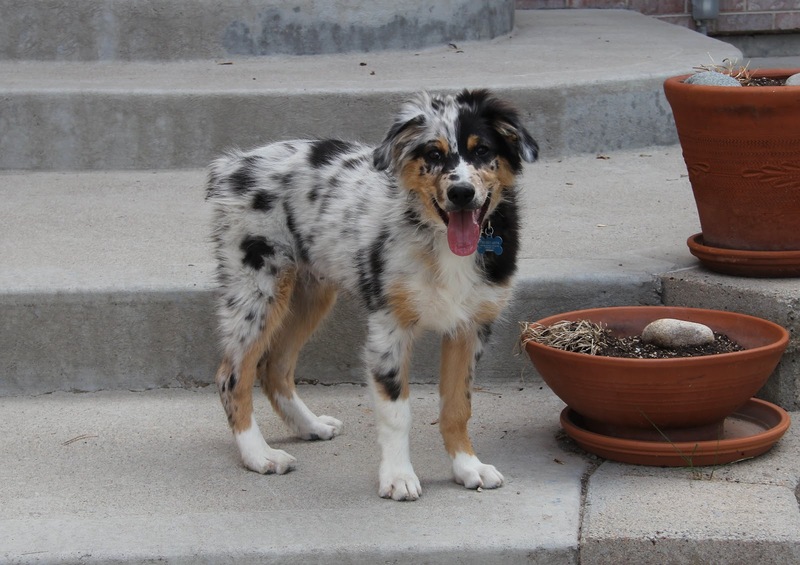 Buck is turning out to be the lankiest leggiest Aussie I have every been around. With that long stride he can really cover ground. They are both really enjoying the unfolding of their first summer (as are we) and are learning all sorts of things about cottontails, mule deer, and being dive-bombed by magpies. Here’s another one of those enjoyable “Findings” features from Harper’s Magazine. In Scotland, Donald Trump was attempting to stop the wind harvest, there was disagreement over whether the rare pine marten would drive the rare capercaillie to re-extinction, an English egg thief was sentenced to his fourth prison term and banned from entering the country during nesting season, fewer birds of prey were being poisoned, scientists confirmed the uniqueness of northern prongwort, young otters were discovered in a post office and a seafood restaurant, and the Edinburgh Zoo suspended its penguin parade. An extinct crocodile was named for Rudyard Kipling. Ecologists captured a new species of spiny-scaled venomous sea snake in the Gulf of Carpentaria but were unable to investigate it further because they feared being killed by box jellyfish, bull sharks, and saltwater crocodiles. A Dutch ecologist found that 99 percent of the Hydrobia ulvae snails he fed to mallards died within five hours. Researchers found twice the coefficient of friction between an inclined ramp and an alert albino corn snake as between the ramp and an albino corn snake who had been drugged unconscious. Engineers involved in the project used their data to build Scalybot 2, and a Navy-funded team unveiled a hydrogen-powered version of its biomimetic Robojelly. An Alaskan brown bear was reported to have scratched its face with barnacled rocks, making it the first bear seen using tools since 1972, when a Svalbardian polar bear is alleged to have clubbed a seal in the head with a block of ice. The wounds of black bears were found to heal during hibernation, and fruit flies were found to drink alcohol in response to sexual failure and to the presence of wasps growing inside them. Scientists described a leaf-eating moth, Antispila oinophylla, that was destroying Italian vineyards and that prefers cabernet sauvignon, chardonnay, and muscat. Scientists gained a better understanding of why lily of the valley appeals to human sperm. The fear-inducing Schreckstoff emitted by injured fish was identified as sugarlike fragments that activate other fish’s crypt cells. Mathematicians disrupted the Lévy flight of bumblebees using artificial spiders. The Bruce effect was documented among wild gelada monkeys, and the European Space Agency’s Goce satellite mapped the Moho Boundary. Weightlessness was found to squish the eyeballs of astronauts. Engineers created a laser unprinter. Japanese women are quicker to detect the presence of a snake after they ovulate. Exhausted police officers are half as likely as unexhausted counterparts to identify fake burglars in a lineup. Fewer American children were injuring themselves on stairs. Babies who are fed on demand do better on the SAT. Growing older and fatter does not make Americans and Britons unhappy. Venus’s rotation continued to slow. The Midwest suffered a rare outbreak of night tornadoes and a decline in ovenbirds due to earthworms. Methuselina, the oldest ewe in the world, died in a fall from a cliff. China and Nepal continued to disagree over the height of Mount Everest. Doctors arrested the growth of the world’s tallest man. Men were not, as previously believed, going extinct. Rich people are likelier to steal candy from children. 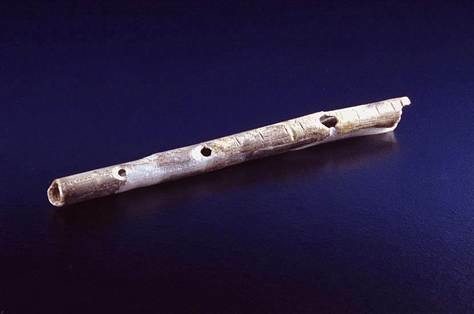 Here’s an interesting story about two paleolithic flutes found in Germany. A DNA study of Lane Batot’s neighbors the Melungeons makes the story of their origins a little less romantic than many thought and I guess the Melungeons aren’t very happy about it. It’s turning out to be an ugly climbing season on Mt. Everest. There is tons of media attention to this here in Colorado, I’m assuming because so many climbers live here. Some researchers believe that dog domestication gave our ancestors a competitive advantage over Neanderthals. Of course I’m being a little selective when I say “our ancestors” – all of us with European origins are part Neanderthal. Researchers have rediscovered two Classical Roman curse tablets sitting on museum shelves in Italy. There’s a reason we save this stuff in museums! One of the curses targets a Roman senator named Fistus: “Crush, kill Fistus the senator, May Fistus dilute, languish, sink and may all his limbs dissolve …” Maybe we could recycle it for the election year. I posted about Classical period curse tablets a few months ago. 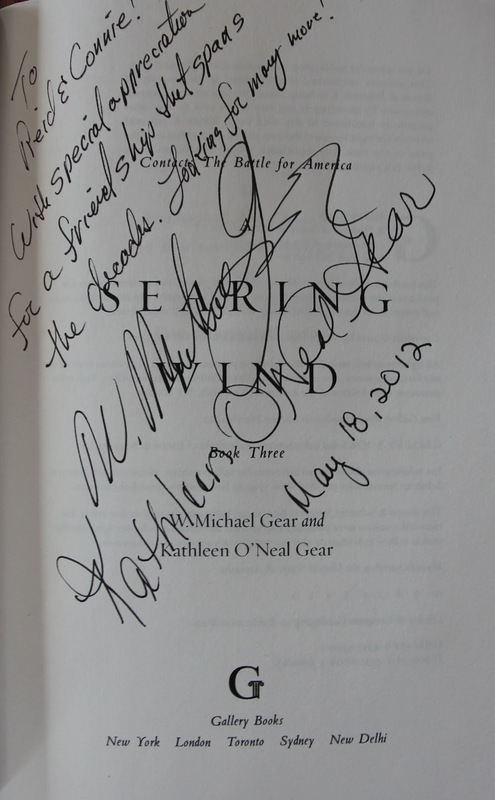 I have one at last, all up- to- date with the new book and all: here! I was able to get together with the Gears for an enjoyable dinner one evening during the SAAs in Memphis last month. I don’t think I’m giving any secrets away by saying they are hard at work on a new novel set in the prehistoric Mississippian metropolis of Cahokia that is informed by the recent pathbreaking work on that subject by Tim Pauketat. 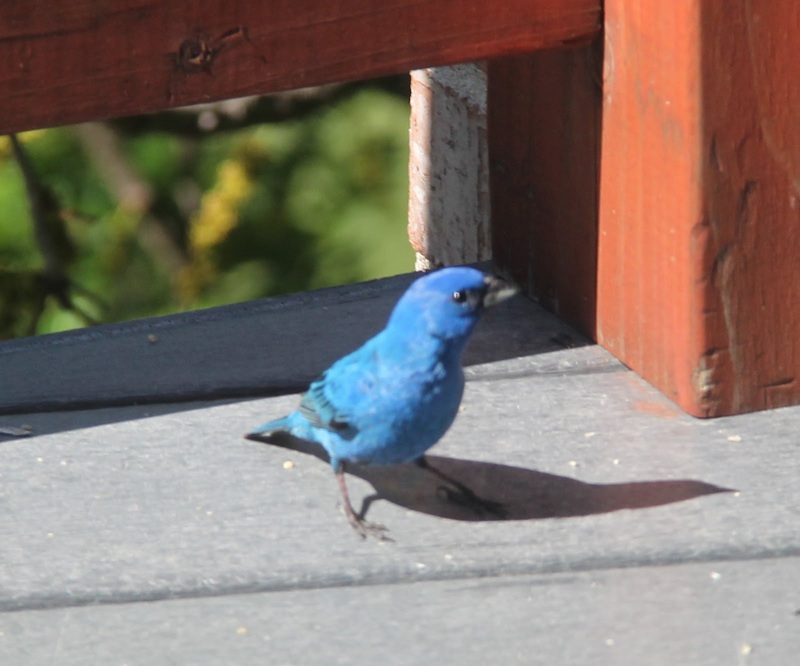 Our bright spring birds have been showing up the last two or three weeks. Among them have been these lazuli buntings, that have been regular visitors here for the last three years. Late last week we noticed that some of the buntings appeared to be “too” blue. Looking a little closer we saw that they were all blue – indigo buntings. 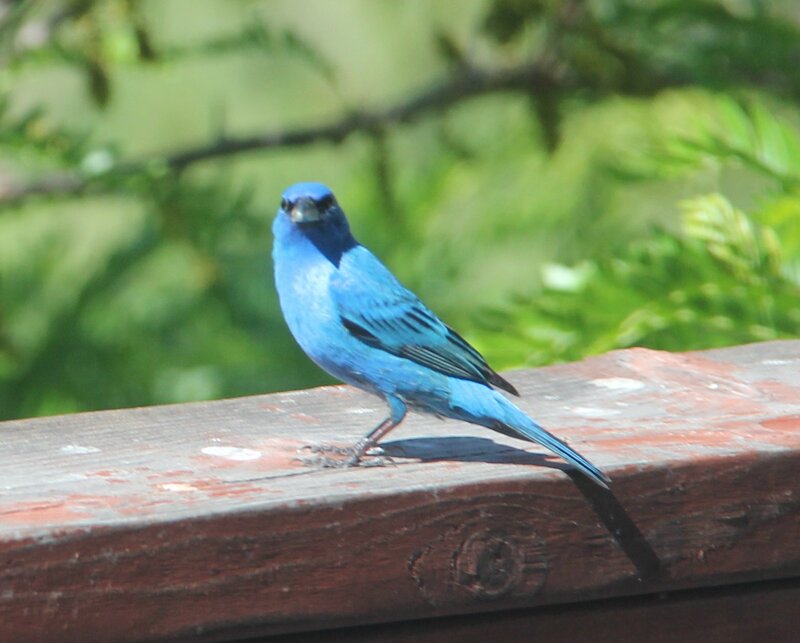 Like the blue jays I posted about last fall, the indigo bunting is a bird I remember seeing when I was growing up in Tennessee that I didn’t expect to see out here at the western edge of its range. The two species seem to be coming in to our feeders in mixed flocks. After doing a little checking I have seen that these species sometimes hybridize out here where their ranges overlap. 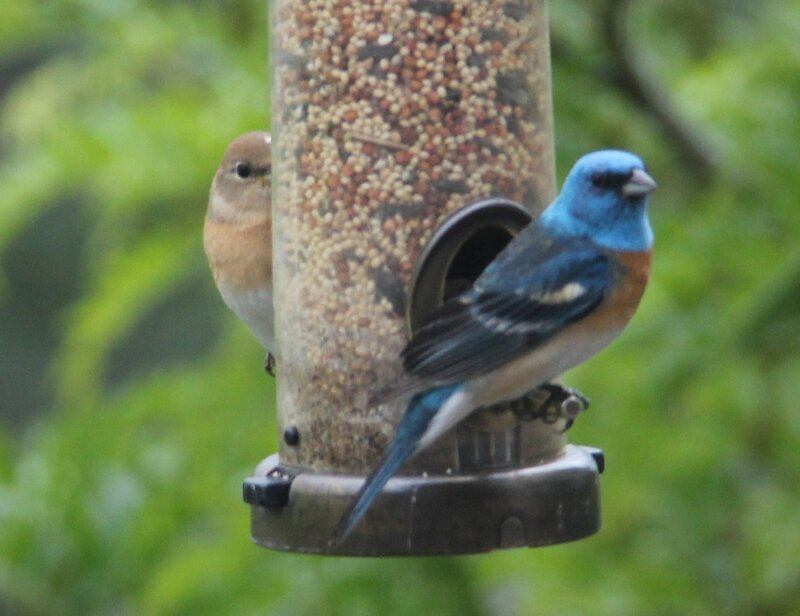 I have seen one individual (no pic, alas) that is likely a hybrid – he looks just like the indigo bunting, but has a white breast. Old friends and heroes are dying faster than I can write about them. 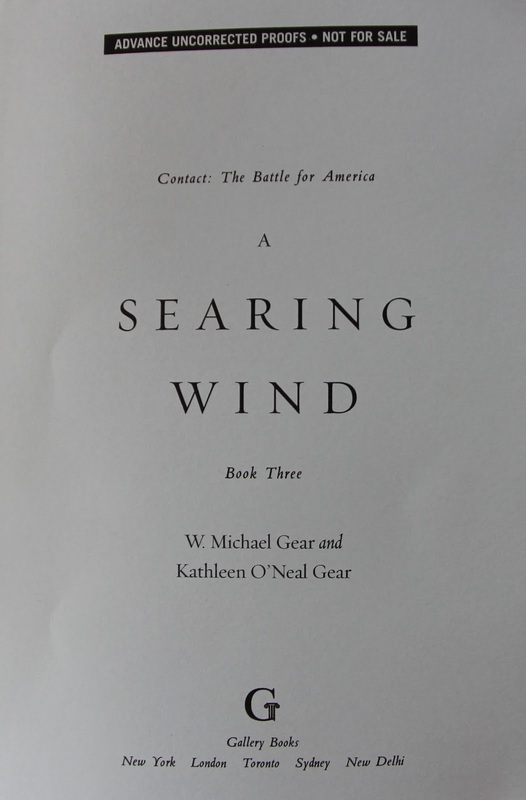 Jean Craighead George, author of one of my favorite childhood books*, My Side of the Mountain, and sister to the even better- known conservationists and falconers , the twin brothers Frank and John, died last week at 92. NYT here , Wiki here , her own home site here. Jim Marti of North Dakota was a few years older than me, and not only the best trainer of pointing dogs, mostly setters, that I ever knew, and author of the best contemporary training manual, but a better novelist and storyteller than most in his generation. He circulated his manuscripts like Samizdat among his friends and laughed about selling them; his Dog Town, funny and poignant and tough- minded, was as good or better than most that sold and were praised in reviews. Apparently he and his partner Jet Collins had some difficult health problems the last few years, but I never heard a word of complaint. If you know her, or if you just appreciate good dogs and writing, drop her a card; Baldwin ND would probably get there, but I will send you an address. I know readers here will want to take a look at this NY Times piece entitled “Deeper Digging Needed to Decode a Best Friend’s Genetic Roots.” The article comments on a recent PNAS article recounting the current state of disarray in the study of dog domestication. As the senior author, Greger Larson of the University of Durham (UK) states, experts can’t agree on much other than modern dogs are ultimately descended from wolves. I was fortunate enough to see Larson give a presentation based on this article at the Society for American Archaeology meetings in Memphis last month. It was astonishing to see how many contradictory positions there are on dog domestication and how poorly supported many seem to be. Larson’s recommendation is that the focus needs to be on the study of archaeologically recovered ancient dog remains and studies of their DNA – an eminently reasonable approach. Any botanizers out there who can ID this flower? It is not a common spring one here but we are lush in vegetation this year. As readers may know, we are Forest Service “Guardians” to a little pre and post- Columbian (400- 1700?) pueblo near town. Mostly we just visit and document any changes, whether caused by natural erosion or “intruders” from kangaroo and pack rats to blundering cows and teenaged Navajo partiers. Today we joined FS Archaeologist Matt Basham to document some damage, but also to photo some post- colonial influences in the form of crosses of two datable types. Photographing the crosses was more fun. The pueblo tried to remain neutral in the Pueblo Revolt, and kept trading with the Spanish. The first two are simple; the third is a more ornate type known variously (and confusingly?) as both a Franciscan and a conquistador’s cross. As always, right and/ or double click to embiggen. The kiva looks like a mere depression but then it is a lot older. Later I will post a remote sensing shot that shows the walls, underground.